Ednardo Mota is a criminal lawyer in Rio de Janeiro. Graduated in Law at the Rio de Janeiro State University (UERJ - Maracanã). 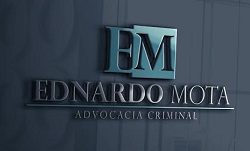 Postgraduate degree in Criminal Law, Criminal Procedure and Criminology at Candido Mendes University (UCAM - Centro - Rio de Janeiro). Former Researcher and collaborator at the Drug Policy and Human Rights Research Group at the Human Rights Laboratory of the Federal University of Rio de Janeiro (UFRJ). Former Trainee Lawyer at the Rio de Janeiro State Public Defender's Office (DPRJ) and at the Federal Prosecution Service (MPF - PRR 2nd Region). Registered under the number 187.838 at the Brazilian Bar Association (OAB - Rio de Janeiro), has a solid and extensive experience in criminal advocacy.